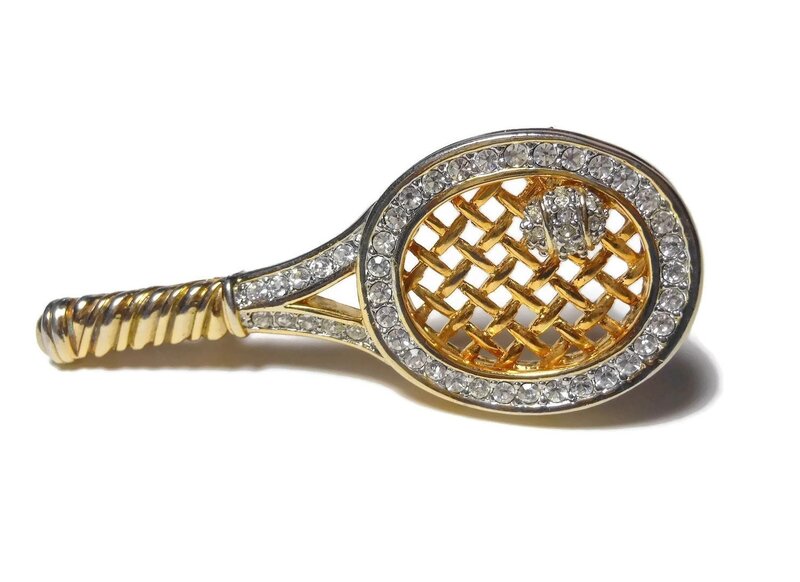 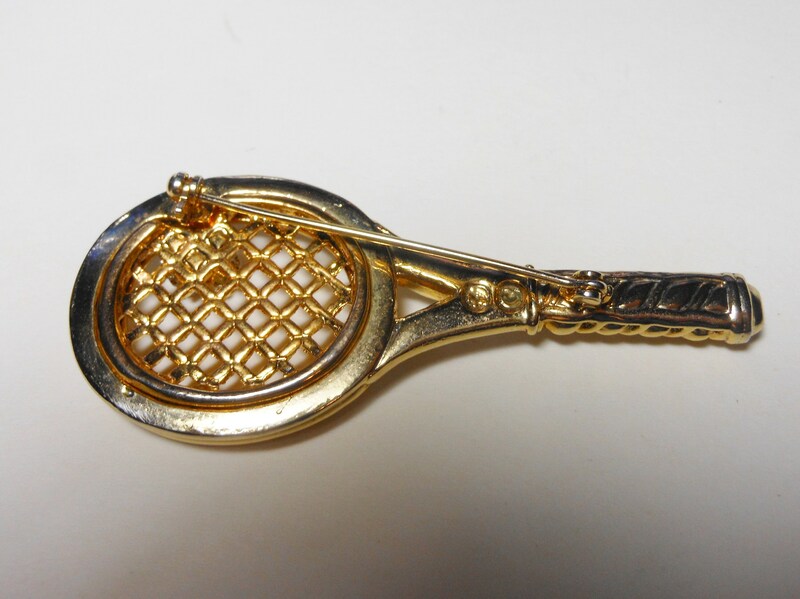 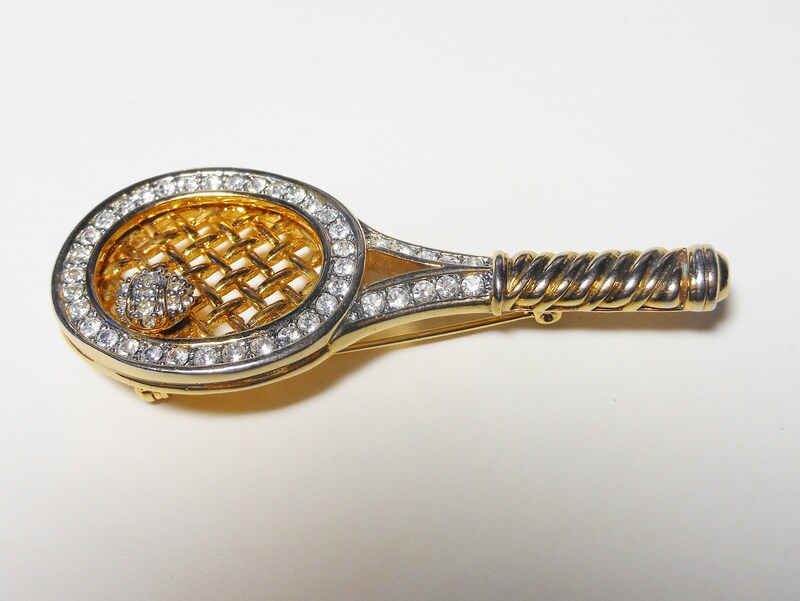 Racquet brooch, racquetball brooch, pave rhinestones over gold plated racquet, pave rhinestone ball, tennis anyone? 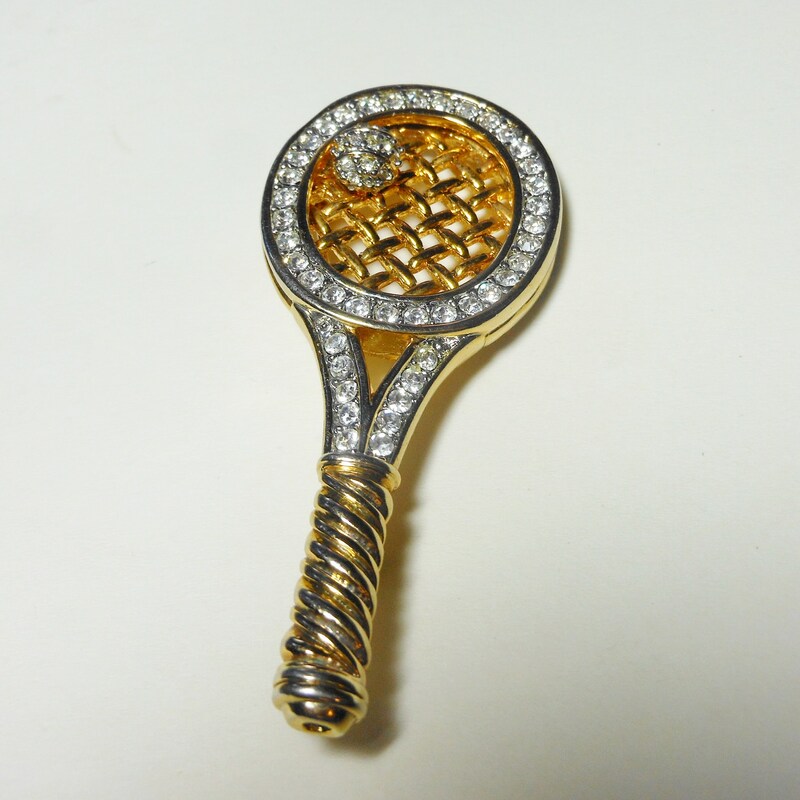 Racquet racket brooch, racquetball brooch, pave rhinestones over gold plated racquet, pave rhinestone ball, tennis anyone? 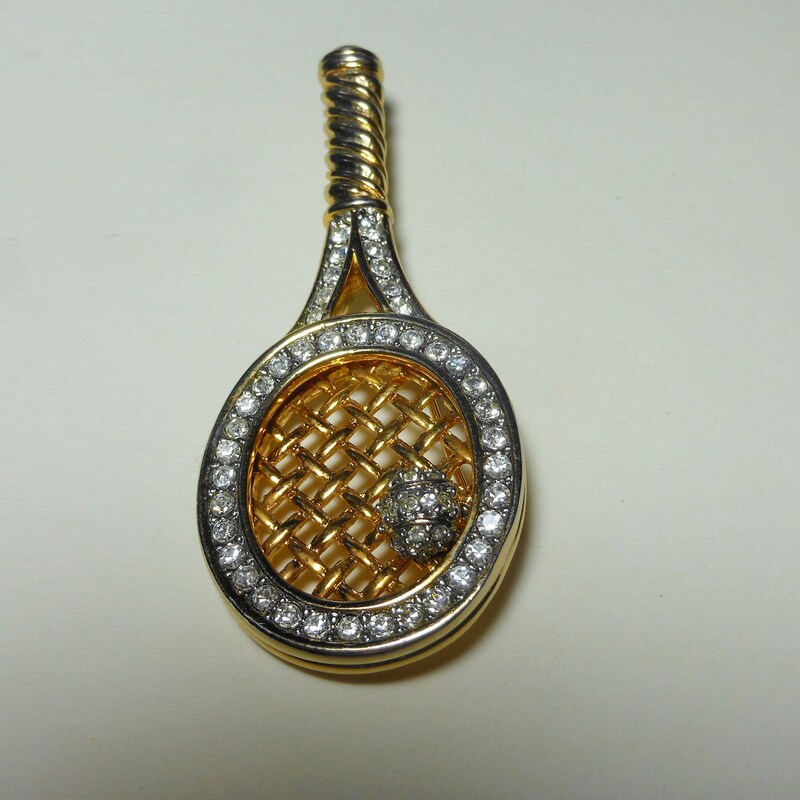 Carry in your purse as an emergency safety pin.